by So I’ll be 48 years old soon, which makes Star Trek 52 now. Read here and there on this blog, and you figure out very quickly that that’s important to me. You’ll probably find somewhere, and more than once, the shared fact that I believe one of my earliest memories to be sitting in my father’s lap watching “The Immunity Syndrome”, you know, the episode with the giant space amoeba. It’s hazy memory: the small TV screen, the spaceships, the splash of color and giant single-celled organism, the old green chair (which I might be filling in without actually remembering). You probably know that I’m a diehard original series fan. As a kid, as a teen, as an adult. I watched it with dad when I was small. I spent most of high school with it coming on just a few minutes after I got off the bus. I’ve seen every movie first run in the theater beginning with The Search for Spock. The Motion Picture and The Wrath of Khan came later in theatres for me, long after first run, but still wanting that theatrical experience. I love The Next Generation, the Star Trek of my teen years. I tried to love Deep Space Nine, which was hard for some reason at that point in my life, but I came back to it in later seasons and enjoyed it. I’ve rediscovered it recently, watching from the beginning and it’s a lot better than I remember. Voyager was fun, cranking up the technobabble, but giving me a new cast of characters to watch come together. I hated the theme song for Enterprise, but the show wasn’t bad, and had moved into some great storytelling just as it got cancelled. There was a long wait until the reboot movies, which most folks will know I’m not really a fan of. Action movies with a Star Trek overlay and an essential Star Trek-ness removed. The third one was better, but I’d put it no higher in rating than The Final Frontier. I want to love Discovery. It’s trying to be Star Trek but isn’t satisfying in the same way. It’s a different kind of storytelling, necessarily considering the story it’s trying to tell, and maybe showing one of those bumps along the way to the future we actually want. To my viewing, it’s also not giving sufficient respect to the original concept of Star Trek. I have said that I’ve decided it’s good science fiction, but I haven’t decided it’s good Star Trek. I also haven’t actually finished watching the first season because I’ve been disappointed in a variety of ways during the first ten episodes. There’s still hope. But I’ve been a fan of Star Trek as long as I can remember and I don’t see that changing until I’m no longer able to remember. Sometime after I stop breathing, sometime after my heart stops, from a certain strictly physical point of view, brain activity ends and I’ll technically stop being a fan. But that won’t change the decades when I was. I credited Star Trek for helping me with social attitudes being more progressive in my mind than they may have been in society at the time. I credit it for helping me to learn to use my brain when some many people around me were trying hard to abandon theirs. I credit it in no small part for the person I’ve become. 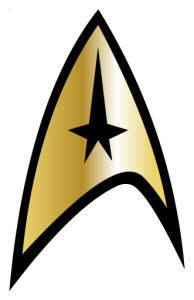 Star Trek has been summarized by many people over the decades, and I’m no exception. In my eyes Star Trek is about what it means to be human and the path towards a positive, inclusive future where we all strive to be better than we are. It’s a storytelling collective to give us hope that there are better days ahead, that we will mature and get better as a species. There will be, and are, bumps along the road, and we will work together to overcome them. Star Trek is about hope for a brighter future, inclusion in the diversity of human experience, recognition that we all have a place in that experience, and the drive make that experience better than it is. Star Trek. Always Star Trek. Gloriously, eternally, through every incarnation and fresh aesthetic, back to the core, Star Trek. I have been, and always shall be, a fan. by So I’ve watched the first two episodes of Discovery twice now, and I’ll catch the third episode as soon as the rest of my schedule allows, but I’m not entirely convinced yet that it’s Star Trek. 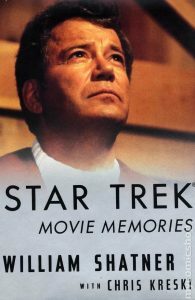 by Having read Star Trek Memories, I almost immediately moved to its sequel, published the following year, which I suddenly realized was more than twenty years in the past. Movie Memories, written just a couple of years after Star Trek VI finished production, would have covered a longer time period, at least calendrically if not in terms of actual production time, but most of it would certainly have been fresher in Shatner’s mind. by I want to be excited about Star Trek: Discovery. You know, the new Star Trek TV show that was going to premier in January of 2017? Delayed multiple times, depending on which news you read. Writing and directorial issues, same. Harry Mudd, sigh. Sarek, again, sigh. Now there are two variations of an actual trailer to give us a look at what we’re finally going to get in the fall. 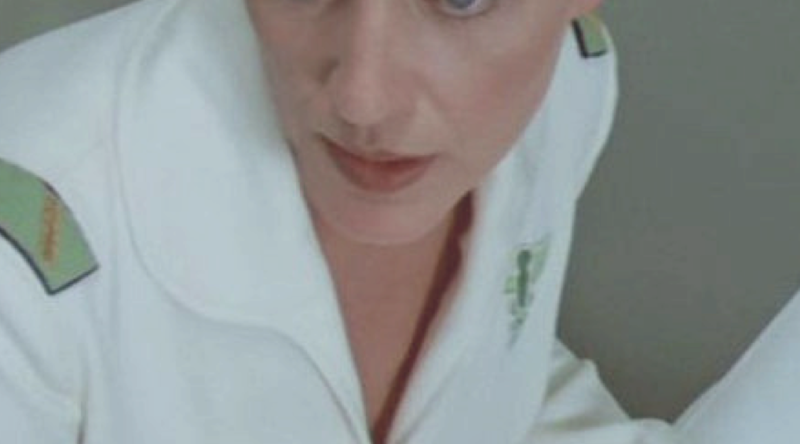 I’m not going to do an exhaustive, frame by frame analysis. There are plenty of those already and the trailers only released the day before yesterday. I’m just going to throw out some impressions. Sparing no expense on the cinematography. Cool new ship, tech, toys, uniforms, aliens. Apparently inclusive crew. Retconning the Klingons… again. I want it to work. There hasn’t been new Trek on TV for a long time. But in order for it to work, they’re going to have to tell new stories, relevant stories, important stories. They can’t just rehash the same ground or produce painfully derivative adventure tales like the reboot movies have done. 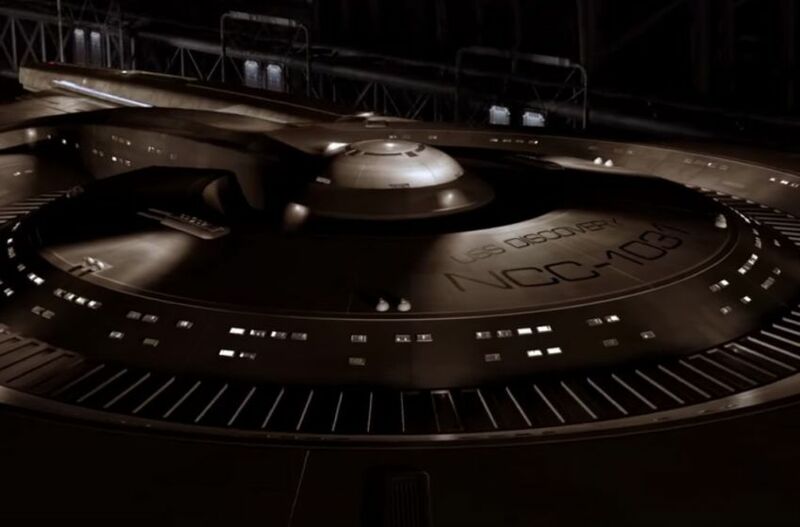 CBS Paramount is going to have to give us Star Trek, and they’re going to have to do it right out of the gate, because the entertainment climate doesn’t allow for a lot of second chances anymore. I want it to work, but I’m reserving judgement until there’s something more than a trailer to judge. by So it’s actually been several weeks since I watched Star Trek Beyond, and I know everyone is dying to know what I thought of the movie beyond (ha, ha) the brief Facebook post I made after getting home from the theatre with my 17-year-old son. I have a few basic thoughts overall. First, all of the things that I actually liked about first two movies in the rebooted, alternate timeline sequence stand. The casting is generally awesome, and I think even Chris Pine was a better Kirk this time. The design aesthetic is beautiful, visuals are breathtaking at times, and the soundscape really adds to things. The chain lightning gun that exactly one of the bad guy soldiers used when boarding the Enterprise and took five people out in one shot with. This should clearly have been standard issue, and the boarding action would have been over a lot faster. The sheer size and scope of Starbase Yorktown was ridiculous. Your biggest and most advanced Starbase, with a population of a couple of million Federation citizens, just completed and on the edge of explored space, is the size of a small moon. Never mind it was commanded by only a Commodore (which seems like outranks an Admiral, for some reason). Yes, it was some pretty impressive CGI, but really, Starbase Yorktown was only that giant so they could have a starship chase scene run through it. Why was there a motorcycle on a 100-year-old wrecked starship on the edge of explored space? And why did that motorcycle still work? Third, I stand behind agreeing with my son’s succinct judgment of the film as we walked out: aggressively mediocre. The pacing was okay, the writing was okay (and, honestly, I expected better from Simon Pegg), the overall plot was okay. No opening credits for titles, which I finally stopped waiting for, and not many standout moments. As a matter of fact, I’m not really sure there were any stand out moments. Oh, there were a cute one-liners, and nice characterizations by actors who have learned to live in the roles, but a lot of the good stuff in the film is more tribute, even though the tributes were seamlessly woven in for the most part. And there was a lot of tribute, a lot of call backs. That’s cool. Star Trek has, when this movie released, closing in on 51 years of history, if you count “The Cage”. We are rapidly closing in, next week actually, on the 50th anniversary of the first airing of the show on network television. Now, if it sounds like I’m not terribly impressed so far, you’re reading things they way I’ve written them, but my last point is the key one: in a way that neither of the first two Abrams films were, this is a Star Trek film. Some very basic Star Trek themes are built into this movie. There are three points I want to think about here, too. Inclusiveness, and not wanting to spoil the film if you haven’t seen it, I’ll leave it at saying that inclusiveness in the crew is greater than it’s ever been before, and the theme goes beyond just Starfleet personnel. Strive to be better than you are, and help the people around you be better than they are. This has always been a big Star Trek theme, and I’m glad to see it return from the ashes of the poorly written action movies we’ve tolerated in the past two releases. Find the place you make a big difference, and then do everything you can to make as big a difference as you can. In other words, it’s everyone’s job to make the universe a better place. So, while Star Trek Beyond wasn’t a great film, or even a particularly good one, and while I stand by the “aggressively mediocre” summary, that summary is only that. I’ve seen every Star Trek movie in the theatre, and I said before I saw this one that, based on the last two staggering disappointments, this was Paramount’s last chance for me in the theatre. I wasn’t impressed and I wasn’t thrilled, but they gave me a Star Trek movie. On the strength of that, the franchise gets another shot. 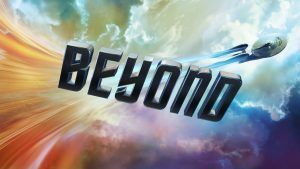 by So I’ve watched the new trailer for Star Trek: Beyond several times now, and I’m still coming away with a far better impression than from the first. The presentation, at least, gives the vision of something more than a mediocre action adventure movie with Star Trek trappings that rips off previous plots without making enough sense to avoid a WTF was that reaction. I’m not going to do a frame by frame analysis. I’m sure there are a dozen or more of those available already, and the trailer only released 8 or 9 hours ago. But I will make a few general points. The movie seems to be trying to re-establish the Kirk-Spock-Bones dynamic in a real way, beyond simple off hand comments and cheap laugh jokes. 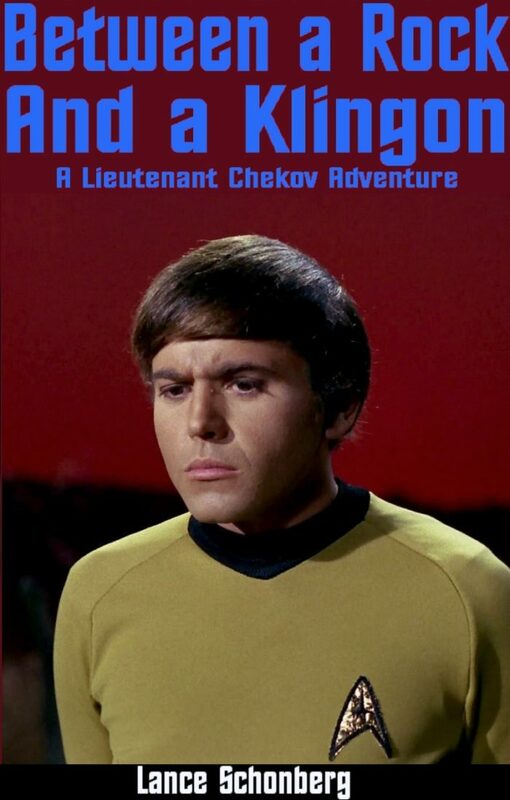 It looks like we’re getting more emotional depth from the principal characters (though Chekov was notably absent from the trailer, and Sulu had only two very brief flashes of screen time). Our new enemy isn’t just a mindless big, bad, but seems to have a purpose of some kind that isn’t clear in the trailer. Kirk has some philosophical conflict, and his bartender, I mean doctor, needs to point out the obvious to remind him of what things are really about. Spock might just be a little more Vulcan again and trying to figure out humans, in spite of continuing his relationship with Uhura, which I suspect is due at least partially to persistence on her part. Kirk doesn’t appear to be banging any hot alien babes as a throwaway comment. Corollary: the female lead isn’t someone for him to get into bed, though it won’t surprise me if there’s some flirting going on. The crew may be coming together as a unit rather than just acting as an extension of Kirk’s will. In short, it seems just possible that we’re getting a Star Trek movie this time around. I’m more hopeful than I was before discovering the trailer over breakfast, and I’ll probably have lots more to say as the release date gets closer. Actually, I think I’m at the point where I think there’s a possibility I’ll want to see this one more than once, and that’ll be a first in the reboot universe. Check the trailer out. Maybe you’ll have a little hope too. by And there was much tentative rejoicing.